​As promised I made a “special” meal in honor of my blogaversary. 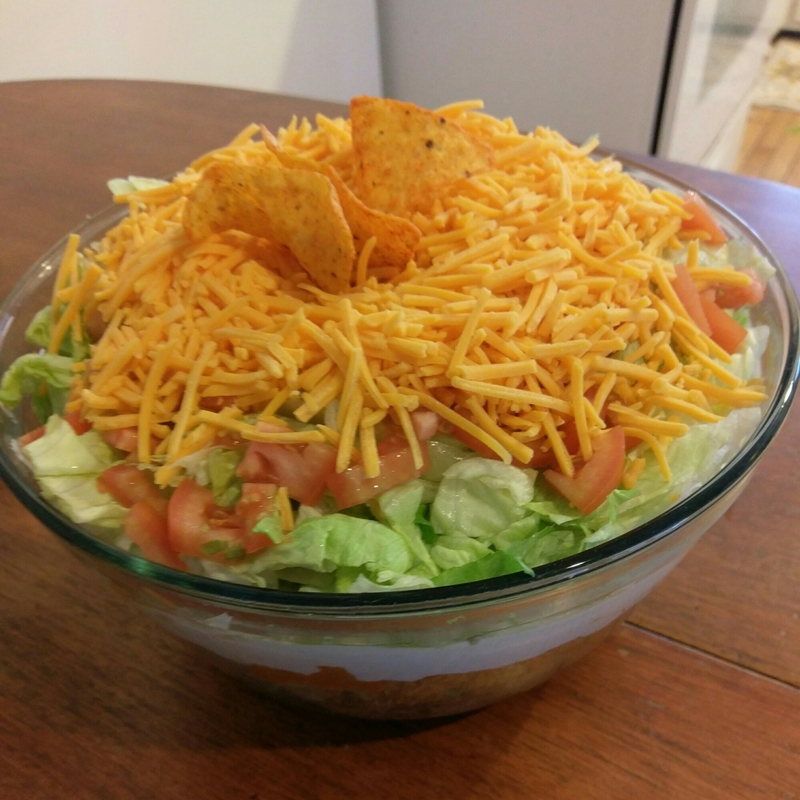 So tonight’s dinner consists of…Taco Salad! Seems a little anti-climatic but I asked my daughter what my very best dish is and she didn’t even hesitate. So, this must be darn good lol. I have an unusual secret ingredient in my taco salad that really makes it sing. And putting together the layers in a clear dish makes for a great presentation. So I guess there are some special things about my taco salad after all. So what’s the secret? Glad you asked, creamy French dressing! Who knew right?! The dressing compliments the spices adds a little tanginess and elevates the whole dish. Here’s what you’ll need for this fabulous meal. In a medium sauce pan brown meat and drain add black beans, salt, pepper, and seasoning and heat through. Pour into bowl. Heat the precooked rice and pour on top of the meat. Add about 1/4c. Of cheddar cheese on top of the rice. Layer in the sour cream and dressing, another thick layer of lettuce, and top it all off with tomato, and remaining cheese. But before adding the lemon mix to the crust, I added 1/2c. of unsweetened coconut! 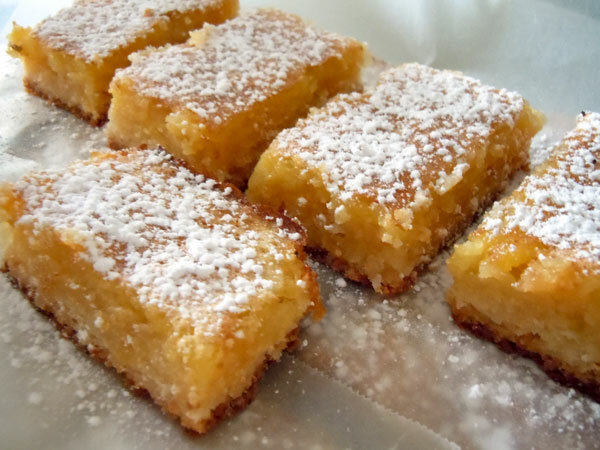 Lemon bars will always hold a special place in my heart. They were one of the first dessert recipes I ever made and I made them with my Grandma Sammie. A great memory for sure! Hope you all enjoy some of my faves! Happy Cooking!